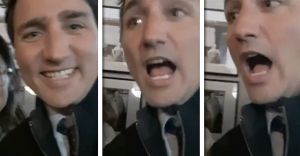 Prime Minister Trudeau was questioned on whether he plans to implement UNDRIP while taking a selfie. Here's how the photo turned out. 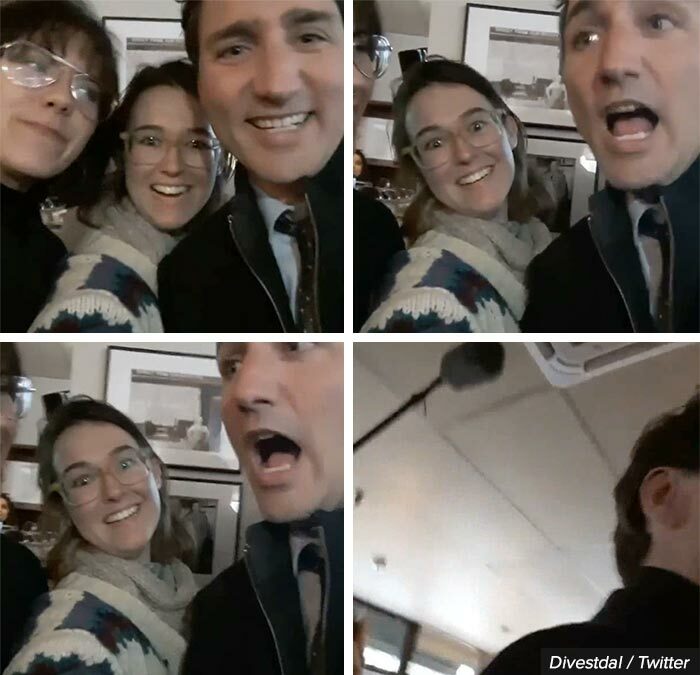 At an event in Halifax this week, Prime Minister Justin Trudeau fielded a substantive question on public policy when he least expected it – in the middle of a selfie. Asked by two 19-year-old Dalhousie University students if he’d pose for a quick selfie, the Prime Minister was happy to oblige. But what happened next will surprise you. “Are you planning on implementing UNDRIP?,” asked one of the two students, who are both involved in a campus environmental group. Video from the students’ phone posted to Twitter shows Trudeau’s jaw drop. The United Nations Declaration on the Rights of Indigenous Peoples (UNDRIP) is a landmark document recognizing Indigenous peoples’ rights to self-determination, language, equality and land. Trudeau’s Justice Minister has previously stated the Liberal government will not fully adopt UNDRIP. But if Trudeau “for sure” agrees, how come his response was so awkward? Under Stephen Harper’s Conservative government, Canada was the only member of the United Nations to reject UNDRIP, calling the document “aspirational” but not legally binding. Trudeau’s Liberals appeared to reverse the Harper Conservatives’ position in May 2016. But two months later, Justice Minister Judy Wilson-Raybould appeared to reverse that reversal, calling UNDRIP “unworkable” and stating it would not be adopted directly into Canadian law. The final report of the Truth and Reconciliation Commission calls on Canada’s federal government “fully adopt and implement” UNDRIP as a key recommendation. "Let's be realistic about this and pragmatic. Which one is easier to replace: the business or your girlfriend?" 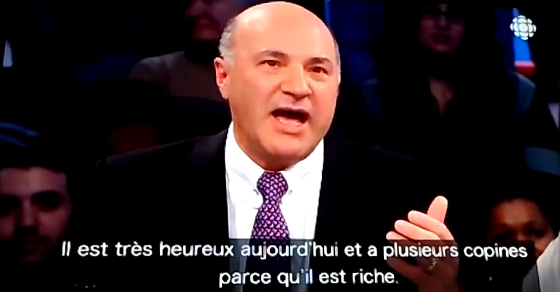 Kevin O’Leary’s “clear path to victory” doesn’t look like it includes Québec. And unless he can persuade social conservatives to change their attitudes towards polyamory, it likely won’t include family values voters either. O’Leary hasn’t officially entered the race to replace Stephen Harper, and his Conservative leadership rivals suggest he’s stalling because he doesn’t want anyone to know how bad he is at speaking french.